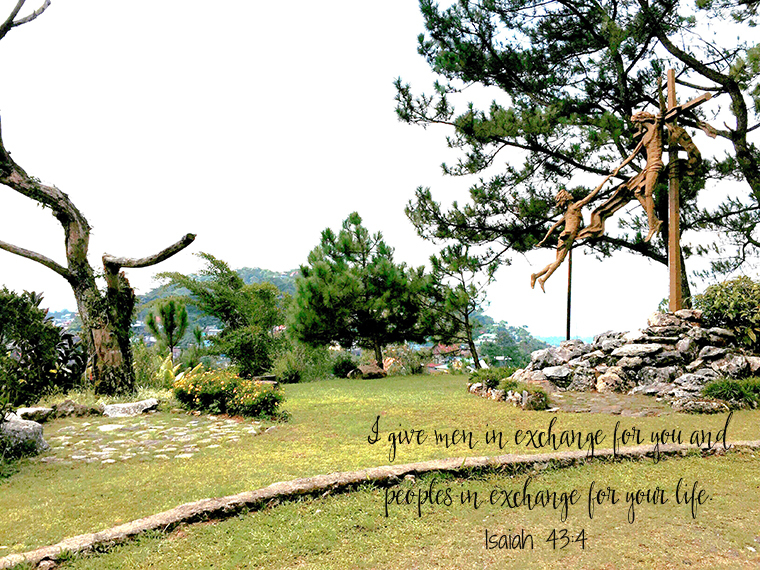 When I went up to Baguio, I didn’t come with an open, grateful heart. It’s been a while since I even attempted to pray after all. So what makes me think I can actually reconnect with Him? Still, despite all the uncertainties, God found a way to reach out to me. 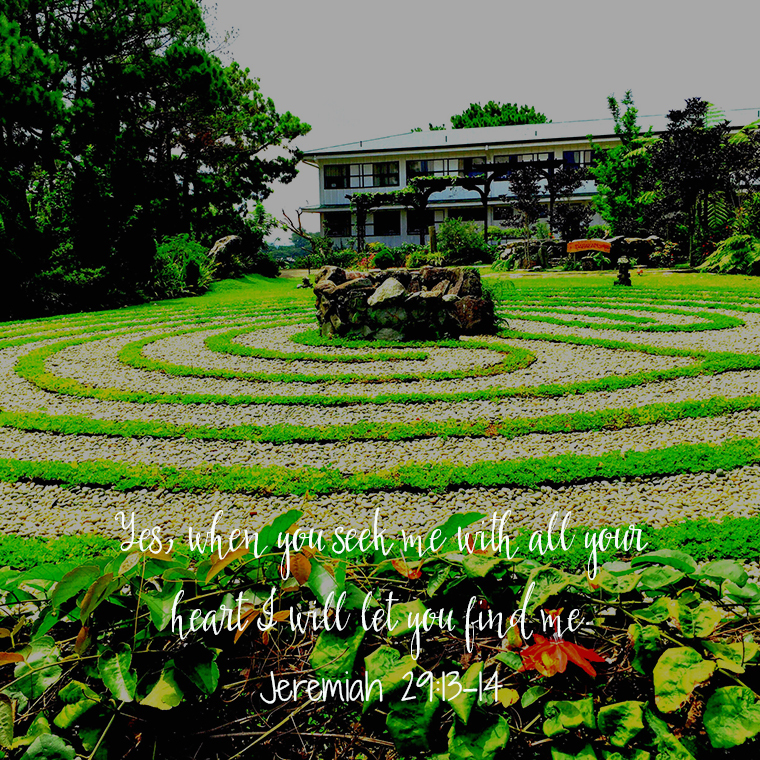 During the spiritual exercises, God’s presence was so palpable, it was nothing like I ever experienced. I always had this notion that God spoke to us in signs. Moses and the burning bush? That was old school. For me, God’s modern form of communicating was through intangibles. He doesn’t just dish out commandments anymore. You kinda have to work for it- sort of like deciphering a morse code. But during the retreat, I actually could hear His voice loud and clear. I could hear him speaking to me directly, as if I was having a conversation with someone who was physically there. His presence was so strong, that even for a skeptic like me, it was undeniable. This made me feel overwhelmingly grateful… and strangely giddy. It was sort of like I finally met a celebrity that I’ve been stalking all of these years- but better. (yes, I’m a ditz I know). I just couldn’t get enough of it. One of first things that I asked God was why He stopped speaking to me. Why do I need to decipher morse codes to get His message? Can’t he just send me a memo? God’s answer to my whining was pretty loud and clear: He never stopped trying to chat me up. I just stopped listening. He never made it hard for me. Infact, He even “stooped down” to my level and communicated His message in ways that I would understand. He spoke to me through my feelings and my intuition. After that conversation, it all made perfect sense. If I believed that God created me, then it also follows that He is also responsible for all that I am – He blessed me with all my talents and all my inclinations. Why shouldn’t He then use them as instruments to help me understand His ways better then? In as much as I felt humbled by this realization, it also gave me a sense of comfort. Modesty aside, I have a knack for reading not just my own emotions, but other people’s as well. And more often than not, my gut instinct has always been spot on. But, I still find myself second-guessing these decisions and would constantly search for more “discernible” proof. 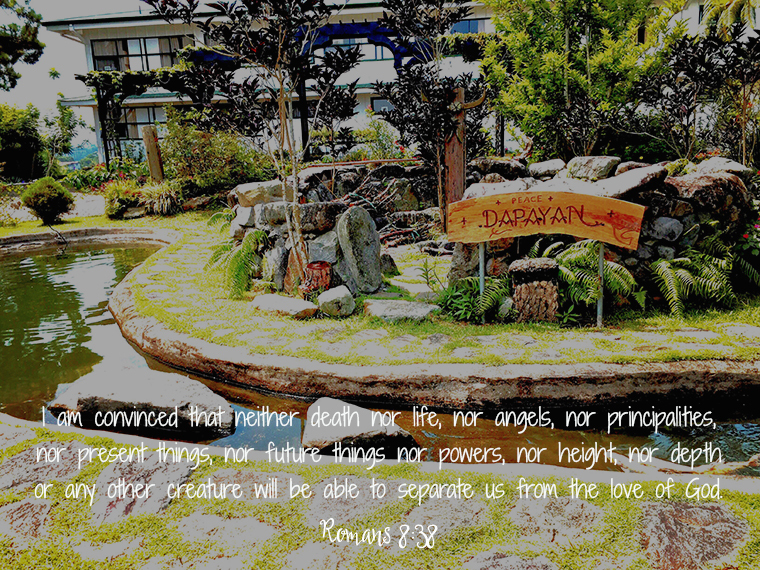 Understanding that these inclinations came from God however, made me more secure about them. I now know that I need to be more sensitive and more open to listening to what God is trying to telling me through them. To be perfectly upfront, as much as I’m grateful that God has showered me with more gifts and blessings than I actually deserve, I also felt like the classic, ignored middle child… the child who kinda had to give way while dad paid attention to his favorites. I remember my guest blogger and friend Verchie (click here and here), shared how when he lost his vision, a bunch of people started affirming him; they would call him a hero and how relay how his experiences inspired them. The thing was, he shared that although he was by their words, he would totally trade being a hero so he could see again. I sort of resonated with how he felt. Last year, when I was going through crap, a bunch of well-meaning friends tried to also make me feel better about my situation by illustrating how much I’m helping certain individuals by simply enduring. Helping other people is fantastic. I’m all for it. But selfishly, I was also thinking, “What about me? What do I get out of this?” It seems that whatever personal “benefits” I received from all my misfortunes cannot really compensate for all the things that I’ve lost. Is God basically saying then that my sole purpose is playing backup so other people can lead better lives? I’m sorry, but that hardly seems fair. Kumbaga, sa Destiny’s child, was I just Kelly Rowland? Am I just here to make Beyonce look good?? Just to clarify, it’s not as if I wanted to be the center of attention. I’m not waiting for “my moment” or my time to shine. That’s not what my gripe was all about. 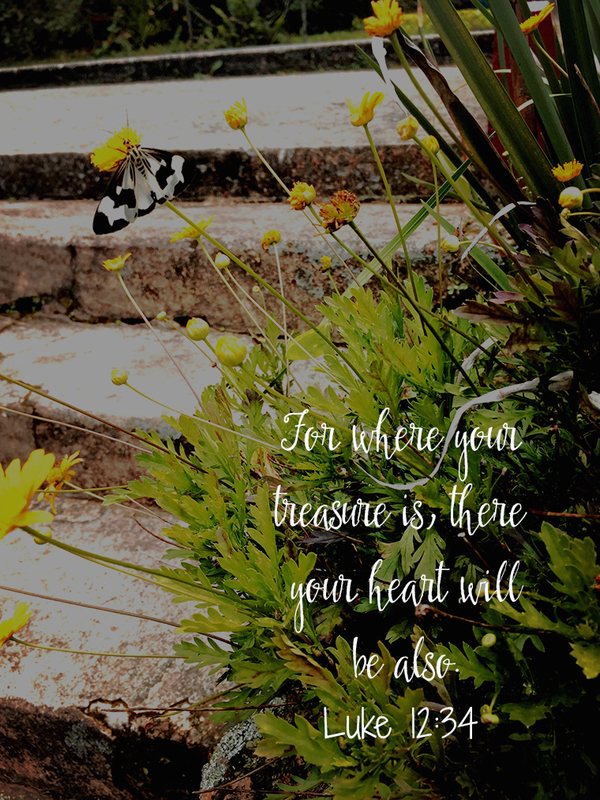 In my periods of prayer, God assured me over and over that He hasn’t forgotten about me. He doesn’t play favorites. He may be using me as an instrument to help other people, sure. 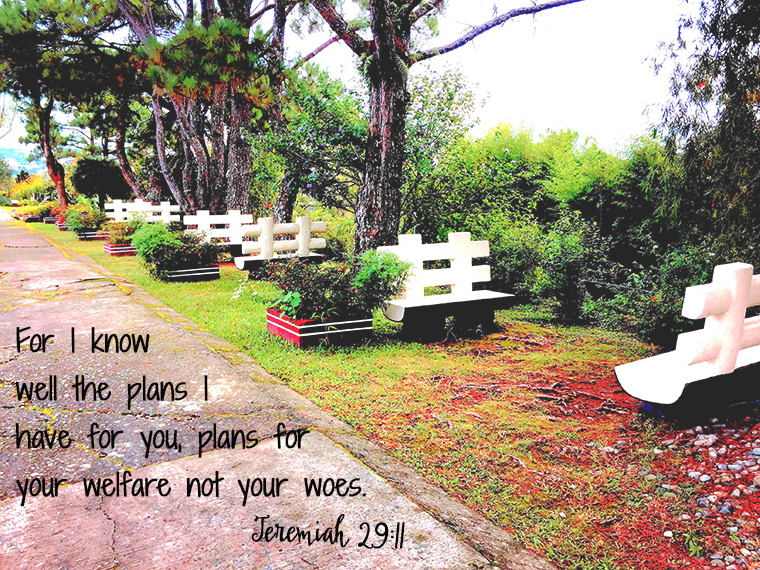 But, He also has plans especially for me. Like the good Father that He is, He’s mixing in the blessings with the trials so I could be a stronger, wiser and more capable individual. I shouldn’t judge the outcome of His plan based on the things that I’m seeing at the present. He’s not done with me just yet. I just have to be patient. I may not look it, but truth be told, I have a lot of guilt issues. (I blame it on my Catholic school upbringing). Infact, it’s one of the biggest struggles that I have when it comes to letting go of the past. I wish I could have been a better daughter, sister (yes Det, I do get guilty for bullying you. ), student, wife, employee, businesswoman, whatever. But, God made it perfectly clear that I no longer have to carry the weight my past misdeeds anymore. I’ve been healed. All that was left was for me to believe it. Not only did He manifest His forgiveness, but during one period of prayer, He gave me the grace to have a much- needed conversation with both my parents. I swear, their presence was so tangible that I started bawling like a baby. I kept on saying sorry to both of them for disappointing them and for not being able to do more when they were sick. Their answer to my groveling pretty much floored me. They simply said in their own distinct way: ‘There’s nothing to forgive’. That sent me on another bawl fest, of course. I can’t tell you how much that experience helped. I suddenly felt lighter and more determined, Rather than taking my problems as penance, I realised that they should be taken as challenges to improve myself. Just like when (other) people exercise to become stronger, I needed to get through these things to become more mentally and emotionally fit. By far, the most poignant message I ever received all through out the silent retreat was God will always be with me. 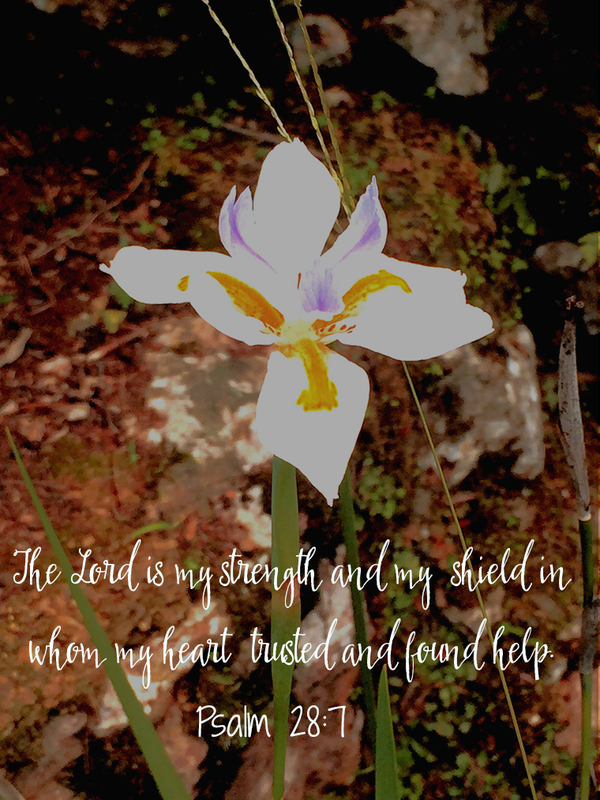 During my periods of prayer, He assured me that no matter what I do, no matter what state of belief or disbelief I’m in, He will never stop trying to find ways to reach out to me. I didn’t have to go through extraordinary lengths to get a hold of Him. He was already doing it for me. All I needed to do was to be mindful of His presence. To be clear, I highlighted some experiences during the silent retreat that comforted me and encouraged me. But it wasn’t all warm and fuzzies. During my periods of prayer, God made me realize that there were certain things about myself and my situation that I needed to change. There were certain hard truths that I needed to accept if I wanted to move forward. I wasn’t looking forward to this at all. But the assurance,that He will always be with me no matter what situation I find myself in made a difference. The problems that I needed to confront seemed easier and less daunting. God had my back. That was all that mattered. What an amazing experience reconnecting with God. I had turned my back for a little over two decades because I allowed my emotion to get the best of me. It was a mistake, and yet, when I seeked Him out over a year ago, God was there. As a matter of fact, God often gives us His blessings through other people and I was blind. Thank you ana! You’re so kind!